A mass anti-government rally, reaching almost two million, has filled the streets of Cairo on Tuesday demanding the Egyptian president steps down. 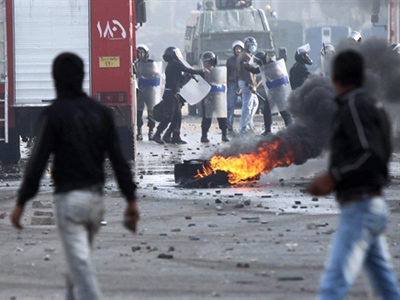 ­More than 300 people have reportedly been killed and over 3,000 injured since protests began over a week ago. 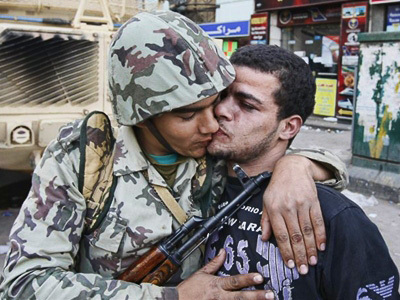 There is a celebrative mood in Cairo as thousands upon thousands of people descend upon Takhrir square. The protesters represent the cross-spectrum of Egyptian society, with both old and young participating in the rally. The earlier intention was for the protesters to march down to the presidential palace, which is why the whole route has been lined with soldiers and tanks. It seems doubtful that the protesters will make their way to the palace, because there is simply no leader that would organize them and bring them together as a cohesive force. The official word from the army is that it will not get involved and will not use force, thus respecting the legitimacy of these protests to go ahead. This decision encouraged many Egyptians to join the rally. There are no reports of violence as of yet, while there are demonstrations being held throughout the country. 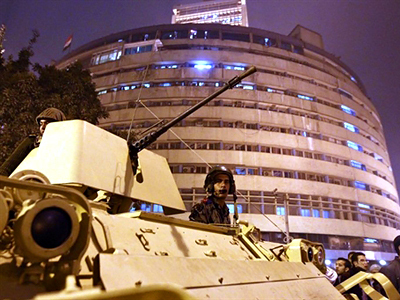 However, the Egyptian Army has blocked all major road routes, including the highway between the country’s largest cities Cairo and Alexandria. The highways to Al-Mansura, Suez and Al Fayyum are also blocked and all vehicles are being searched. 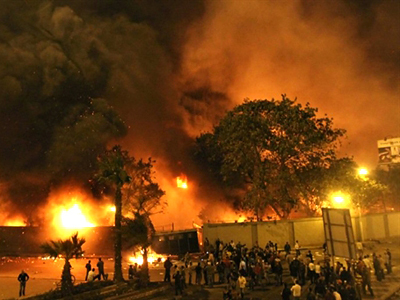 Egypt’s rail service has been suspended since Monday. There has been major disruption to all public transport in Cairo and national air carrier Egypt Air has cancelled some of its flights. On Tuesday morning, the last functioning internet provider was closed down. 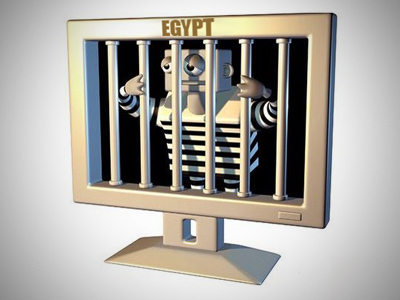 Google reported that its traffic in Egypt has come to a complete halt. There are small groups of pro-Mubarak demonstrators out on the streets, but they receive no attention and their voices are drowned out by thousands of other protesters. Whoever the next Egyptian leader may be, he will have to make the situation on the ground an immediate priority, and that is the essential food and fuel supplies that are running low, ATMs are out of cash and supermarkets have nothing to sell. Mohamed El-Baradei, who is the ex-chief of the International Atomic Energy Agency watchdog, has been put forward to replace incumbent President Hosni Mubarak, but the public does not seem to fully trust him. Many people simply do not know who he is. El-Baradei has earned his reputation on the international stage, and Egyptians say he has the backing of the United States and other Western powers, which does not present him in a particularly good light. 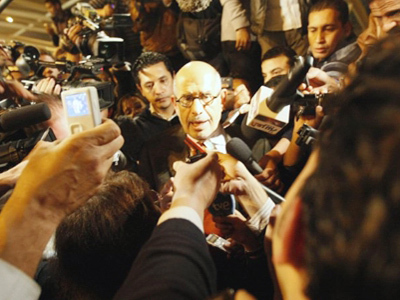 The opposition parties needed somebody to bring them together and they chose El-Baradei. He has done a fair deal so far, trying to get everyone on board. Even though Egyptians want a regime change they are not sure whether El-Baradei will serve their best interests or those of the US. Many protesters claim the US helped destabilize their country to make it more dependent on them. Washington has been financially supporting the country for years and is heavily invested in its political agenda. But when it comes to openly supporting the incumbent president or his suggested replacement, some say Washington is playing on both fields to avoid losing out. 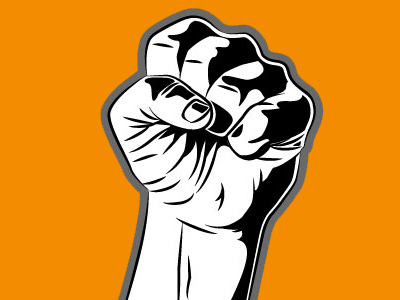 The opposition groups have put together a list of demands, addressing issues such as unemployment, rising food prices and disarray on the streets. 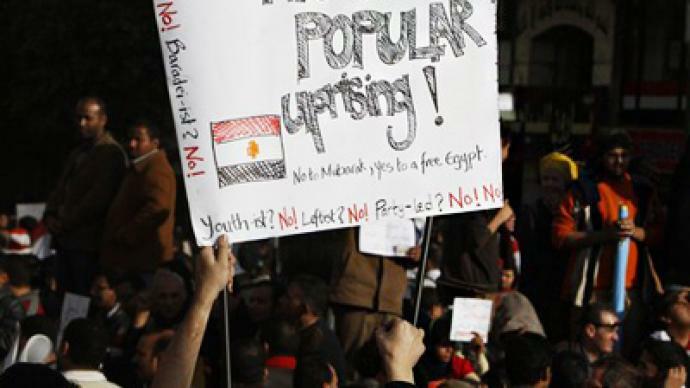 It is not yet clear whether they will be able to present these demands to Mubarak. In Jordan, King Abdullah II has fired his government and appointed a new prime minister. 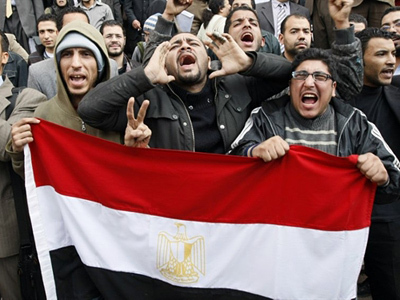 No doubt when the news reaches protesters in Egypt, it will fuel their excitement and only add to the momentum. 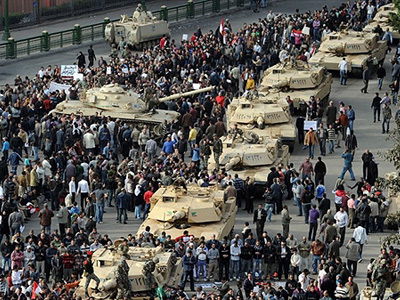 The Egyptian protesters certainly want to believe that this demonstration is a decisive one. However, the Egyptian president so far has done nothing to meet their demands other than reshuffling his cabinet, but essentially keeping most of the ministers in the same key positions. However, Mubarak said through his vice-president that he wanted to talk to the opposition parties, but the latter claim the time for dialog is now over, and they will only be satisfied if he steps down. ­The nights in Cairo are dark and scary and only armed night watchmen guard the streets in shifts, protecting their property against marauders and rioters. Groups of armed gangs are on the prowl and ordinary citizens have to rely on themselves for protection. They collect whatever means of defense they can, from sticks and kitchen knives to guns to keep their homes safe. And while security in Egypt is low, the leader who has come forward to replace Hosni Mubarak is offering precious little to make Egyptians feel safer. Author and journalist Afshin Rattansi believes that “Mohamed El-Baradei is making a belated attempt to get into this opposition movement,” because “he is the part of the international crisis elite group” which has close ties to western interests. Washington is yet to officially declare support to the former IAEA chief, which means the Obama administration still hesitates over whom to support: the current president or his challenger. Mohamed El-Baradei came back and called for the regime change he missed during his absence in the native country. “El-Baradei lived in America. We do not want him,” protesters say. Former IAEA boss is much more known on the international scene than back in Egypt. So, Mohamed El-Baradei is yet to be recognized by the 18 million Egyptians he wants to rule – to say the least. ­It looks as though Mubarak will have to go, the question is what price he will exact on the Egyptian people, says Ray McGovern, former CIA officer. Regarding El-Baradei, McGovern says he is not a politician, yet he has shown himself willing to be a leader. “The bizarre thing is that because of these last 30 years, there do not seem to be other prominent Egyptian figures that could hold a candle and that are in any way comparable to El-Baradei. El-Baradei has shown himself to be an independent, articulate and very intelligent person. If the Egyptian people stay with him, I think he will do a very good job,” he told RT. ­Talking about a surprisingly large number of posters written in English at Tuesday’s demonstration, Yvonne Ridley, journalist working in London, said the Egyptians know the West is watching them closely and they want to transmit their message clearly to those who do not speak Arabic. “Those signs are for Washington, for Downing Street, for all the leaders in Europe, to say – we don’t want Mubarak and we will choose our own leaders. And they also have made it quite clear they do not want any more meddling from the US. And America has said – well, we give 1.3 billion dollars of aid every year. The ordinary Egyptian people don’t see one cent of it, so they are not bothered if America does withdraw this funding, because they do not certainly benefit from it in the slightest,” said Ridley.